Figures and data are the main tool for investors to obtain good performances, but people don’t need only a collection of numbers, but an interpretation of them. Figures are useful when they are understood and let investors take decisions. In T-Advisor, we care about it with our T-Report, a full and detailed sheet with accurate and relevant data about thousands of assets. Let’s see what an investor may find there with an example: Apple. First of all, you find the immediate figures about the stock: price, price change, volume, an assessment of the risk taking into account the volatility, the liquidity and our score. T-Advisor has developed its own scoring for all assets to provide investors an understandable way about the quality of them. After that, you find the historical performance analysis. It is true that past performances do not guarantee future ones, but they show a relevant evolution to assess the interest for your strategy. The following data are related to short-term trend. The system calculates the trend and the cycle phase to perceive if it is the right moment to enter (stay long) or wait, as the position says. Charts are also very relevant to perceive an asset trend. We provide in our T-Report several options to watch the chart and the evolution in the last five years. 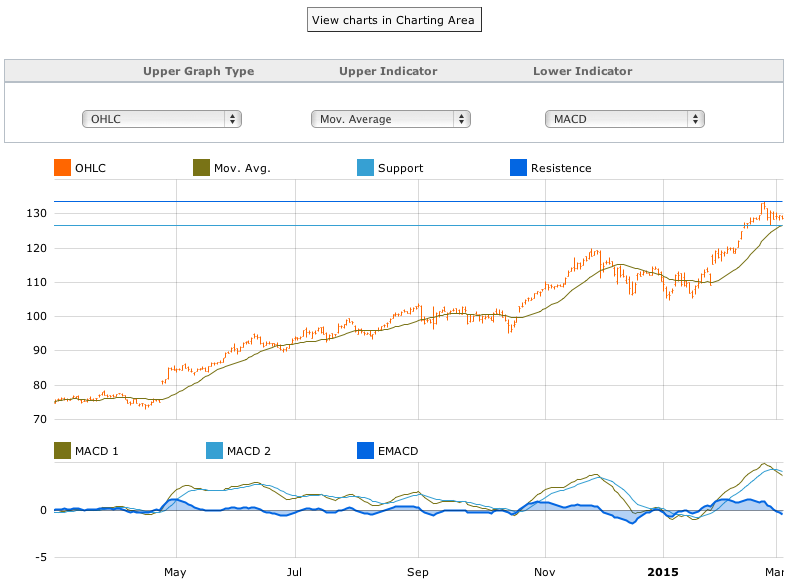 Anyone who wants to obtain deeper information may click on “View charts in charting area”. Comparative tables are also useful to evaluate data. That is why we show the cumulative performance and different views from different technical models. 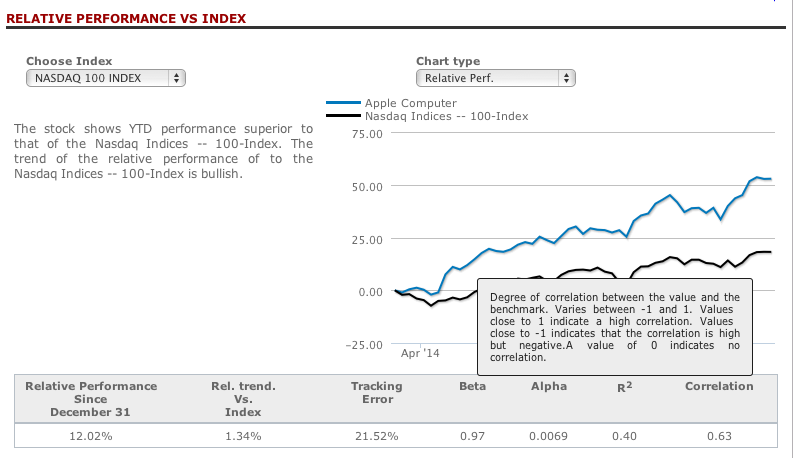 Similarly, every T-Report compares the asset with the index reference to check if it performs better or worse. It also shows relevant figures as alpha and beta. It is to underline that the T-Report is full of hints that explain the meaning of all the data just locating the cursor on them. In T-Advisor we consider that capital preservation is the main goal for an investor. The chapter devoted to risks analysis is wide, because we want to report properly about them to help investors preserve their capital. Volatility, VaR and retracement are the main figures. 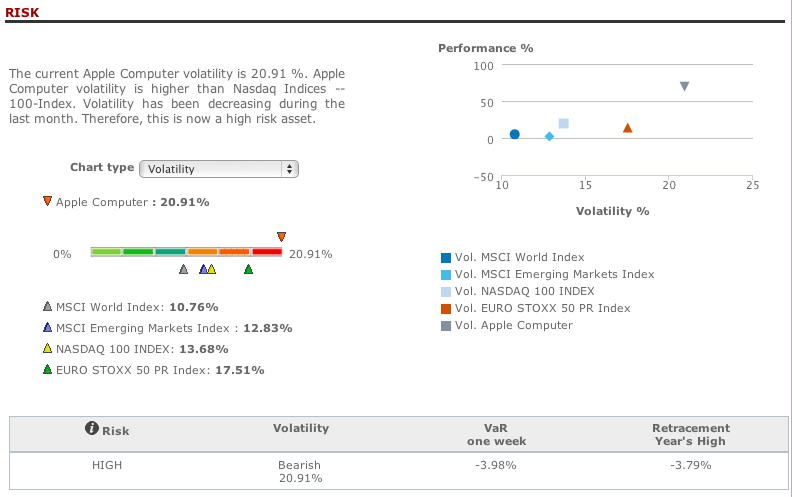 We also include a comparative chart that links performances and volatility from the assets and several indexes. Finally, if you are not satisfied, T-Report shows investment alternatives ranked by exchange and sector, so that you can find the one that fits your interests. To sum up, investing is not a game. It requires time to analyze where we are going to allocate our money. Information is a main stuff to assess options and take decisions, but this information has to be properly and systematically organized. Our T-Report is the answer for these needs. This entry was posted in Discover and tagged Data, Investment alternatives, risk, T-Report, technical analysis, trend, volatility on March 5, 2015 by Oscar Garcia.